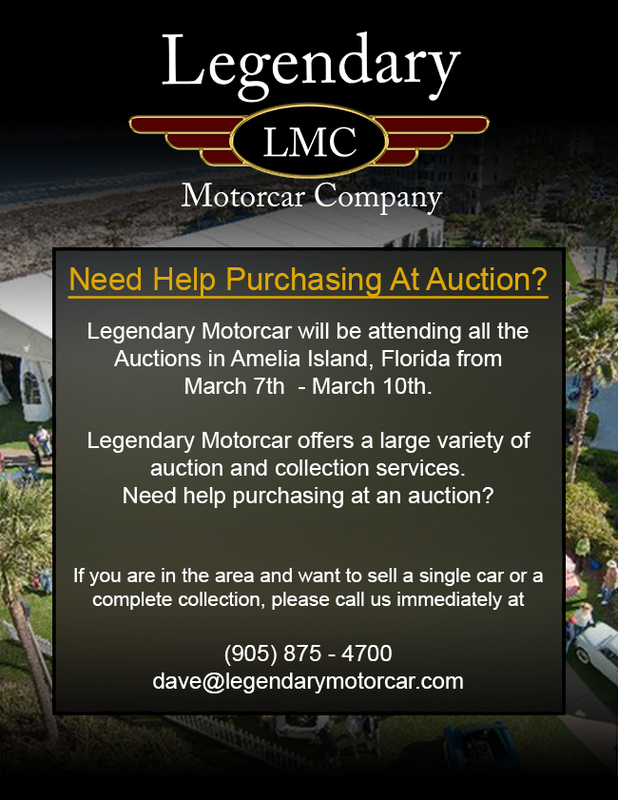 Legendary Motorcar buys and sells the finest and rarest classic cars, muscle cars and performance cars from around the world. Located in Ontario, we are the number 1 classic car collector dealer in Canada specializing in performance cars, vintage cars, muscle cars and classic cars. We ship anywhere in the world. Check out our website for what we have in our current classic car inventory and our special classic cars collection too. View images, videos and related cars of interest and then give us a call at (905) 875-4700. 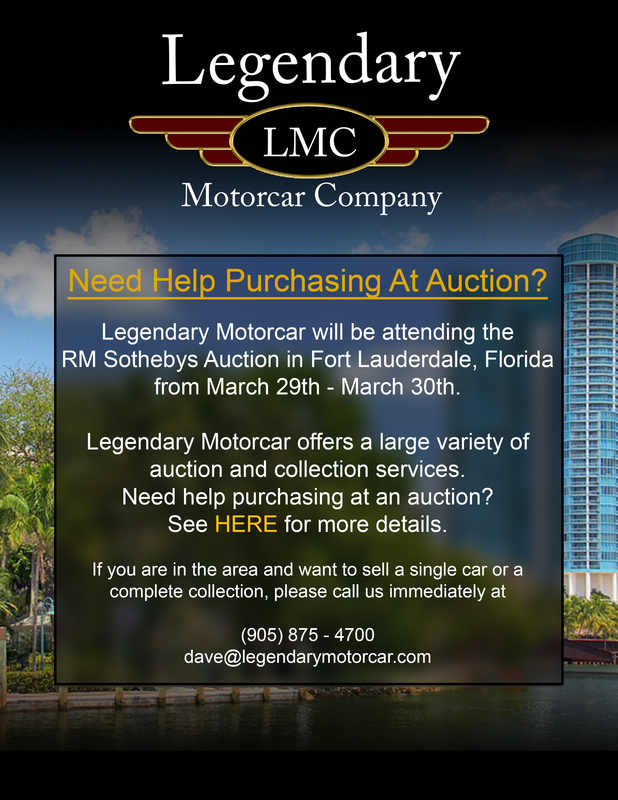 Please note, this is not a complete listing of our classic car inventory. If there is a particular classic car, muscle car or performance car you are after please contact us. If we don't already have it in stock, we may know exactly where to find it.